Established in 1901, the Chicago White Sox competes in Major League Baseball (MLB) as part of the American League (AL) Central Division. The home games for the team are played at the Guaranteed Rate Field and the team is owned by Jerry Reinsdorf. The White Sox are one of the two major league clubs in Chicago – the other one being the Chicago Cubs. Over the years, the White Sox has won three World Series titles, six pennants, three Central Division titles and two West Division titles. As an original eight franchise in the American League, the White Sox have a storied history that started with a World Championship against crosstown rivals, the Chicago Cubs, in 1906 and recently in 2005. The White Sox are looking to improve their record in 2018 as they finished in 4th place in the AL Central division and 2nd worst in the American League last year. Grab your 2018 Chicago White Sox tickets and head over to Guaranteed Rate Field to be a part of your team's championship hunt. Chicago White Sox are a century old franchise. Over this time period, the franchise has had many moments of fame and fortune. Here are a few of them. The Longest Game in the History of Major League Baseball - The never ending game took place on May 8 & 9 in 1984 at the Comiskey Park, between the Chicago White Sox and the Milwaukee Brewers. On the first day, seventeen innings were played before the game was suspended with the score tied at 3-3. On May 9, the game resumed and went on for 25 innings. In the home half of the 25th inning, Harold Baines of the White Sox homered on the 753rd pitch of the game, giving the White Sox a 7-6 win. The game set a record for the time elapsed, with a total of 8 hours and 6 minutes. The 2005 World Series - The 2005 World Series was between the Chicago White Sox and the Houston Astros – a best of seven series. Even though the series was a clean sweep, ending in a decisive victory for the White Sox, all four games were very close, being decided by two runs or less. Game 2 in particular, was very interesting. Played at the US Cellular Field in Chicago, Illinois, Scott Podsednik stepped to the plate in the bottom of the tenth with the game tied. The game ended with a walk-off home run, as the South Siders took a 2-0 lead in the series. Owing to their age, Chicago White Sox have developed quite a few rivalries. The major ones are against the Chicago Cubs and the Detroit Tigers. Chicago Cubs - These cross town rivals of the White Sox never actually met on the field until 1997, when interleague play was introduced. The rivalry has been given multiple names over the years, including The Crosstown Classic, The Windy City Showdown, The Chicago Showdown, and The North-South Showdown. The regular series is currently led by the White Sox, 58-54, with the teams having met a total of 112 times. The biggest victory was 12-2, for the White Sox on June 24, 2005. The White Sox lead in the post season as well, 4-2. Both the Chicago-based teams had long spells of droughts in the MLB, around the same time. The Cubs had a 108 year drought between the years 1908 and 2016 and the White Sox had an 88-year long drought between 1917 and 2005. Detroit Tigers - The cities of Chicago and Detroit share rivalries in multiple sports and the Tigers vs. White Sox rivalry is among the fiercest ones. Both teams have been a part of the American League since 1901. The Tigers have won four World Series titles and the White Sox follow close with three titles to their name. The Tigers also have a slight lead in the regular season wins with 1083 victories, as opposed to the White Sox 1045 wins. Recent seasons have seen both teams make some changes to their lineups – the 2017 games are bound to be very interesting! The White Sox side has seen numerous talented players on its roster over the years. Frank Thomas, “The Big Hurt”, is one of the best players the team has seen. He hit 448 homers and batted .307 in 16 seasons with the Chicago White Sox. In addition, he posted eight straight 100-RBI seasons and was a two-time MVP, along with a five-time All Star. Nellie Fox is another big name for the White Sox, with 14 seasons. He was a 12-time All-Star and was inducted into the National Baseball Hall of Fame in 1997. Among the more recent legends on the team is Paul Konerko. The five-time All-Star who played 14 seasons with the White Sox has hit more than 20 home runs in 12 of the 14 seasons and finished fifth in MVP voting in 2010. Minnie Minoso was another truly great player who played with the Sox for more than four decades having his best season in 1954. In this season, the star player batted .320 with 116 RBIs. In addition, he was also a seven-time All Star and a three-time Gold Glove winner. With the 2017 season already underway, White Sox baseball tickets are selling out fast. Fans of the team have already purchased season tickets to ensure they don’t miss any part of the action. The White Sox will be playing against the Kansas City Royals, the Los Angeles Angels of Anaheim and the Cleveland Indians. The first game against rivals Detroit Tigers will be played at the Guaranteed Rate Field on April 5, 2018. Baseball fans will not want to miss this action! Our process for purchasing cheap Chicago White Sox tickets is simple and fast. There are so many online ticketing sites, that it can be hard for customers to find the right place to buy Chicago White Sox tickets at the cheapest price. At ScoreBig we think of our customers first and foremost. We offer daily deals for Chicago White Sox events, so our customers can get the best seats for the best prices. ScoreBig will always go above and beyond to offer the cheapest Chicago White Sox tickets on the market. The Chicago White Sox schedule above, displays all available events for 2019 and 2020. Once you find the event that you would like to go to, click the red “Get Tickets” button. It is located on the right-hand side of the event listing, it will take you to an Chicago White Sox event ticket page. ScoreBig's event ticket page will display all available Chicago White Sox tickets for that event. On the event ticket page to help with your search for the right Chicago White Sox tickets, use the filters at the top to select quantity, price range, and more. There is also an interactive seating chart so you can pick where you want to sit. When you are ready to buy a ticket, click on the listing, and you will be directed to ScoreBig's checkout page. Upon completion of the information fields, your order will be processed and your Chicago White Sox tickets will be delivered via email, mail, or to your mobile device. What makes ScoreBig’s site stand out from the rest? We are constantly analyzing our competitors to improve our site, service, and prices. ScoreBig.com employees strive to offer the best process and experience to buy cheap Chicago White Sox tickets. Our goal is to get you the best seats to Chicago White Sox events. We offer daily discounts on our site and for special promotions check out our newsletter. If there are no Chicago White Sox events currently available, you can use our search feature at the top of the page to see a list of all popular events going on near you. No matter your price point, we have all the best deals and discounts on Chicago White Sox tickets. For more information on prices of Chicago White Sox tickets and the schedule for Chicago White Sox, check out our listings above. The last thing you want to find out is when the Chicago White Sox event you wanted to go to is sold-out. Don’t worry in many cases ScoreBig has affordable tickets to sold out events. We sell tickets from GA all the way to premium seating and parking. Skip the scalpers in the parking lot and get your tickets online from top Chicago White Sox ticket brokers. We get you in all events, buy your Chicago White Sox tickets here from a brand that many trust and rely on for all their ticketing needs. ScoreBig offers a 100% money-back guarantee. If you have been in search of cheap tickets for Chicago White Sox, ScoreBig by far is the best option. That’s why ScoreBig has more loyal customers than any other ticketing site. 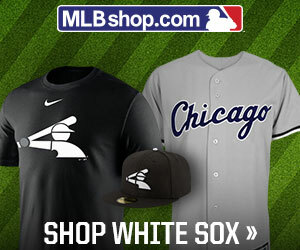 Shop at ScoreBig for safe and secure Chicago White Sox event tickets.